Ever been out on a long day hike or multi day backpacking trip and run out of water? Some people will carry popular water purification tabs. The problem is they typically take at least an hour to react to the water and do their thing. Another popular water purification method I see a lot is the use of the survival straws. They come in many flavors, but typically have the same results. These are a good option to have, but you are limited by the number of people that can use it and the amount of water it can process. One of my favorite water purification items is the Sawyer Mini Water Filtration System. The Sawyer is a rugged, reliable, adaptable, and simple to use system – no moving parts. Now I’m not trash talking all these other water purification options, as I have used and own many of them. They all have their place. With all that said, the MSR MiniWorks has brought an added benefit to the table that none of these other options can provide. The added benefit is the ability to remove chemicals, toxins, and pesticides from the water. In a previous article I wrote regarding water purification, a reader specifically asked if that solution was able to filter out chemicals and pesticides – for that specific system the answer was no. That reader and you have a viable solution with the MSR MiniWorks Water Filter. The MSR MiniWorks Water Filter is a workhorse. The included ceramic filter has a carbon core making it effective against bacteria, protozoa, cysts, chemicals, herbicides, and pesticides. The ceramic filter can process up to 2000 liters of water! This makes the MSR MiniWorks a reliable system for longer term situations allowing you to sustain your hydration levels. The ceramic filter is designed to be able to be removed and cleaned while in the field as are other components of the water filter. The MSR MiniWorks Filter is also designed to screw directly onto wide mouth Nalgene bottles, Hydro Flasks, Kleen Kanteens, and the MSR Alpine Bottle – water containers common to most outdoors enthusiasts. That makes this system extremely useful for the frequent backcountry traveler, day hiker, or for those that just want to have a reliable system in their bug out bag. 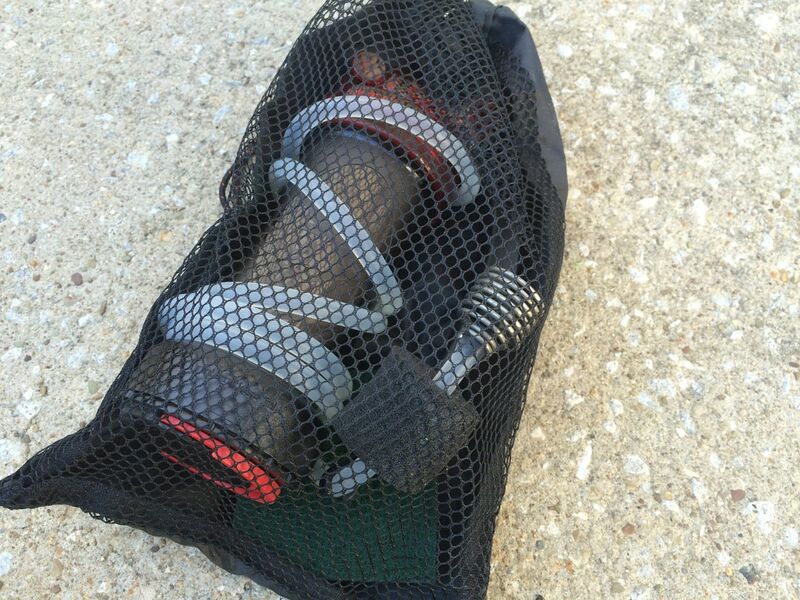 After use, the filter and all its components can be stored in the included cinch bag. MiniWorks system stored in the included mesh cinch bag. Heavy – the weight is 16oz. It’s not an issue for me, but it may be for those that fast pack or prefer a system for ultralite backpacking. Can take some muscle to pump enough water for your 32oz water bottle. On average it can take around 2 to 3 minutes to fill a 32oz water bottle. *It is possible to get this around one minute with perfectly timed strokes and a good, stable, water source. This filter has been around for quite some time, pumped thousands of gallons of water for the military and world travelers, is affordable, and reliable. Newer isn’t always better. *Stay tuned for an update, video, and review of the new MSR Guardian filter. Albeit more expensive and beyond the needs of most, it appears to be the most advanced portable filter ever designed.